The company is said to be tinkering with its 2018 iPhone lineup in an effort to goose adoption of the three models released in 2017 and three new ones reportedly coming later this year. The ultrapricey iPhone X may have dissuaded some Apple fans from upgrading — starting at $999, £999 or AU$1,579, it’s the most expensive iPhone ever — while the incremental refinements of the iPhone 8 and iPhone 8 Plus may have lacked sufficient oomph to drive the masses into upgrading. 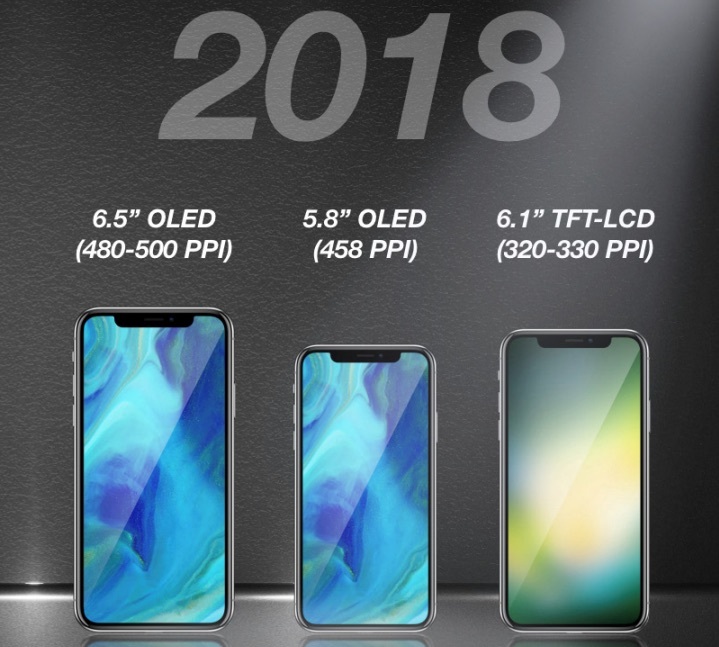 Since the iPhone X debuted last November, there have been reports that Apple is developing at least three new models of varying sizes, including two jumbo versions based on the current flagship. In addition to new form factors and features, Apple is likely to deliver the annual enhancements we’ve come to expect — new build materials and colors, a bump in processing speeds, higher screen resolution and tweaks to extend battery life. The good news, for Apple, is that the Android world is tying itself in knots to emulate the iPhone X. Two of the Samsung Galaxy S9 marquee features — AR emoji and Intelligent Scan — are Samsung-ized versions of the iPhone’s animojis and Face ID that just don’t measure up to the originals. And Asus, LG, Huawei and others have announced or are rumored to be working on phones that ape the iPhone X’s distinctive notch design. It remains to be seen whether or not they’ll bring anything new to the table. Though we’re likely still six months out from seeing the next iPhone, the rumor mill is already creating a compelling picture of what’s to come. We’ll continue to update this page with news and leaks as we begin our countdown to the Apple iPhone 11 (or whatever the next batch may be called). Depending on the scale of the forthcoming upgrade, Apple could revert to its “S” series nomenclature, giving us an iPhone XS and iPhone X Plus. And yet, we can’t help but wonder whether this might invite the unwanted connotation of “excess.” This, combined with the very rich design opportunities of two ones, has us putting our early money on the iPhone 11. Whether or not the confusing Roman numeral naming system goes away is anyone’s guess, though. Bloomberg’s Mark Gurman reports that the company has developed two new supersize iPhones: a 6.5-inch OLED model — which would be the biggest iPhone ever — and a 6.1-inch LCD version. There is also talk that Apple might drop the current 5.8-inch size for the iPhone X, based on its reportedly diminishing orders for OLED components. Previously, Apple analyst Ming-Chi Kuo speculated that the company would release three models in 2018 based on the design of the today’s full-screen flagship.